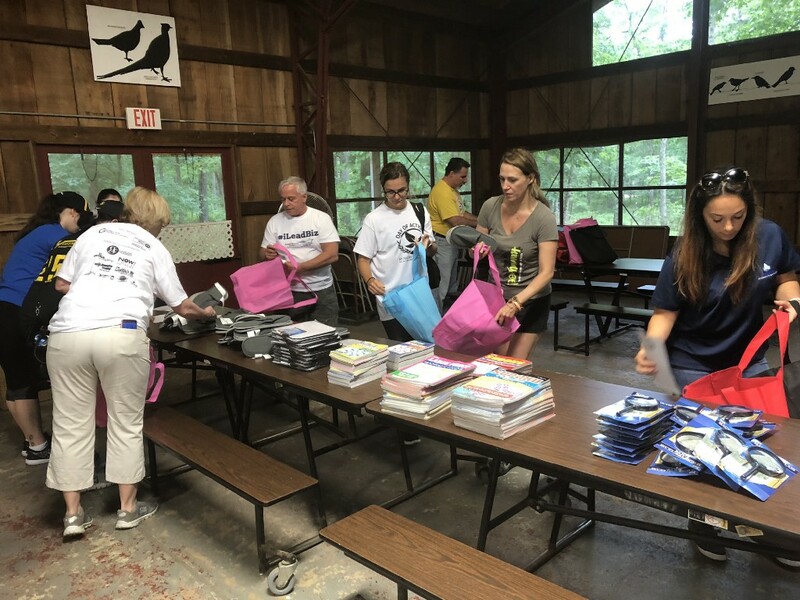 The United Way of Gloucester County (UWGC) and the Gloucester County Chamber of Commerce worked together to unite local volunteers for the first Day of Action, an event that mobilizes the caring power of volunteers to make a meaningful impact in the community. The Day of Action was on June 21, which was the longest day of the year. 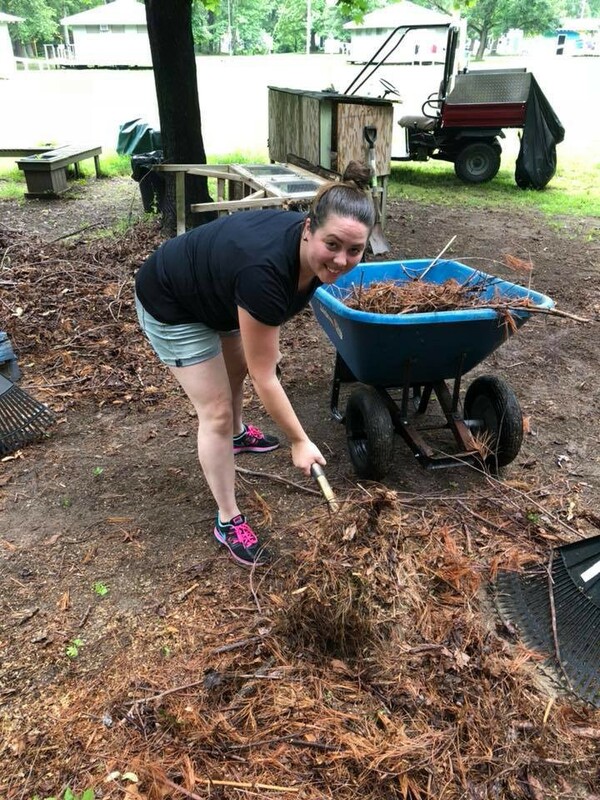 Volunteers donated their time and skills to various projects, such as cleaning out the barn at SHADOW Equestrian, prepping and painting wooden ramps at HollyDELL School’s playground, assembling care packages for older adults throughout Robins’ Nest’s programs, prepping the sensory garden at the Arc Gloucester’s Camp Sun ‘N Fun, painting at the Boys and Girls Club of Gloucester County, planting vegetables in the garden at Center for Family Services’ Together Youth Shelter, and assisting with yard cleanup at the Eleanor Corbett House (Volunteers of America Delaware Valley). The morning began at the Girl Scouts of Central and Southern New Jersey’s Camp Sacajawea in Newfield, and the afternoon networking portion was help at the Arc Gloucester’s Camp Sun N Fun in Williamstown. Both networking events served as an opportunity for volunteers to meet each other as well as learn more about the agencies they were assisting. 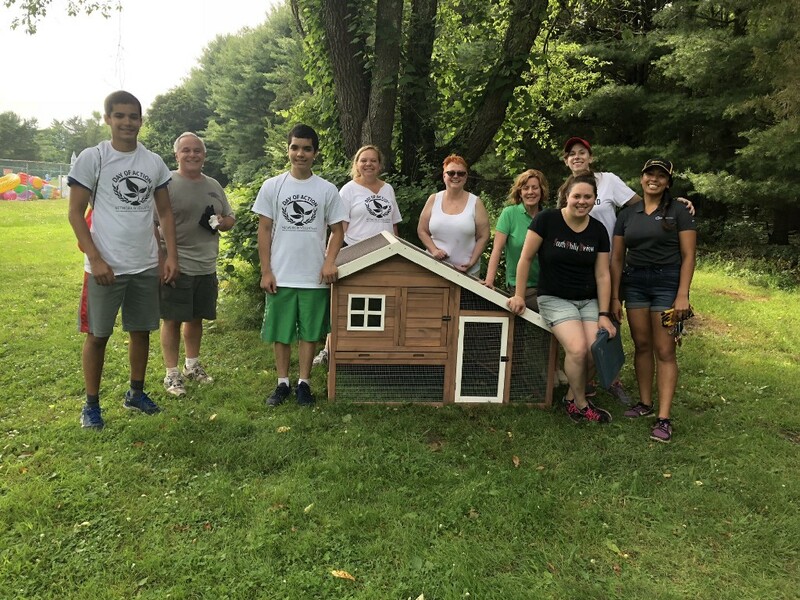 “Our Chamber of Commerce really wanted to help and do something meaningful in the community, as well as give our members an opportunity to get involved,” said Les Vail, President and CEO of the Gloucester County Chamber of Commerce. 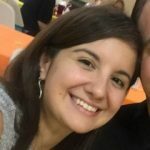 “This [Day of Action] is a perfect opportunity where volunteers can see the different programs that the United Way is funding so they can see the real impact and how these programs make a difference in Gloucester County,” said Michael Gower, Executive Director of the United Way of Gloucester County. 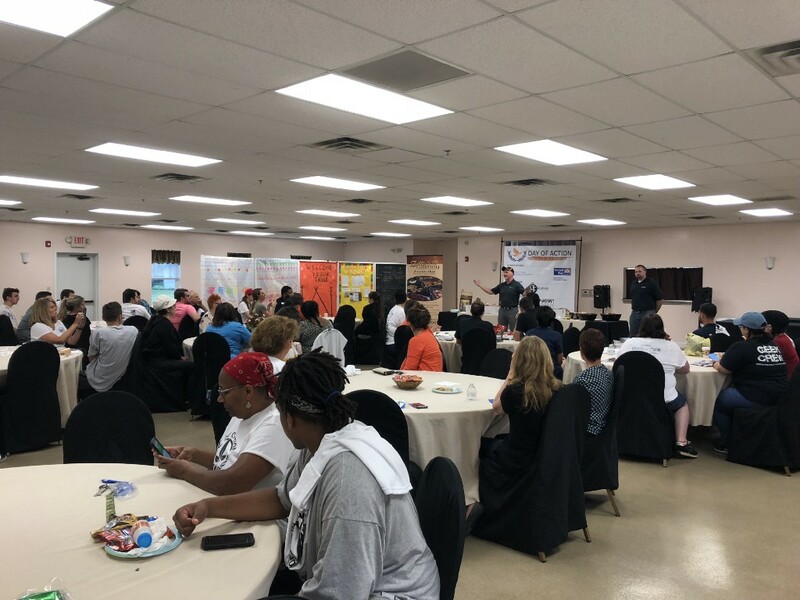 On and around June 21, thousands of people across the globe volunteer with United Way to fight for the health, education and financial stability of every person in every community. This “Day of Action” serves as a reminder that when people unite for the greater good, every day is a day of action. United Way Day of Action is a snapshot of what United Way does all year long — engaging individuals to work together to build stronger communities. For more information about the United Way of Gloucester County, please contact Margie Brining at (856) 845–4303 ext. 12 or mbrining@uwgcnj.org. For more information about the Gloucester County Chamber of Commerce, please contact Melina Zamalloa at (856) 881–6560 ext. 204 or mzamalloa@gloucestercountychamber.com.